Junk a Car - It's Easy to Junk Car, And You Get Free Towing! Junk a Car – It’s Easy! Your old junk car is worth so much more than worn out tires and rusty doors. Your junk car can help find a cure, promote literacy, help a child, or shelter an animal. Junk a car, truck, SUV or RV – Your junk car really can become a charity’s treasure. Junk a car by Donating it to Charity. Our customer service is Guaranteed to make you feel great when you junk a car. Recycle ready, or good for re-sale, junk cars have value. We’ll assess and assign yours with the respect it deserves. I was unsure how to donate my car – I knew I wanted to, but didn’t know where to start. So off to the internet I went. I found Donate a Car Canada. What I really liked about this organization is that I was able to choose which organization to make the donation to! AND, they picked up my car at the dealership where I had picked up my new car! So I didn’t have to worry about a thing. Autism Speaks Canada is proud to be a charitable recipient for Donate A Car Canada. Fundraising is such an important aspect of our organization. We applaud and thank companies like Donate a Car Canada who dedicate themselves to providing much-needed funds to charities every time someone donates a car. 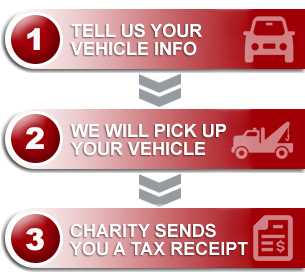 When you junk car through Donate a Car Canada, you are making a difference to the charity that matters most to you. You pick the organization you care about, and we will make it easy for them to receive your donation. There are no fees charged to the charities – ever! They can apply each of your donation dollars to the cause you care about. We take care of your junk cars. We take care of your charity.